Susan Lehman’s abstract collages based upon Nature are poetic expressions of the movement and energy felt here on the edge of the continent. Dense opaque gesso is carved and gouged to suggest the weathering seen on the Coast, providing the base layer for delicate layers of collected and created papers that alternate with sparkling acrylic glazes. 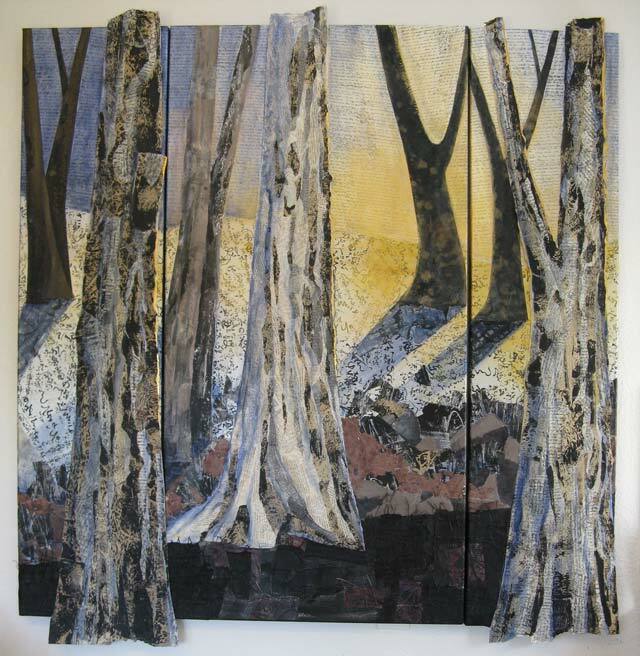 Often working in diptychs, Susan always works in a series to fully explore the concepts that attract her, playing upon the relationships between one panel and the next. Her work has been shown in galleries from Seattle to Sacramento. © 2016 Susan Lehman Artist.